The sights along a state highway in Grapevine, Texas, could hardly be distinguished from any other highway near a major American city, with Audi, Jaguar-Land Rover and Infiniti dealers on one side and other upscale rivals on the other. 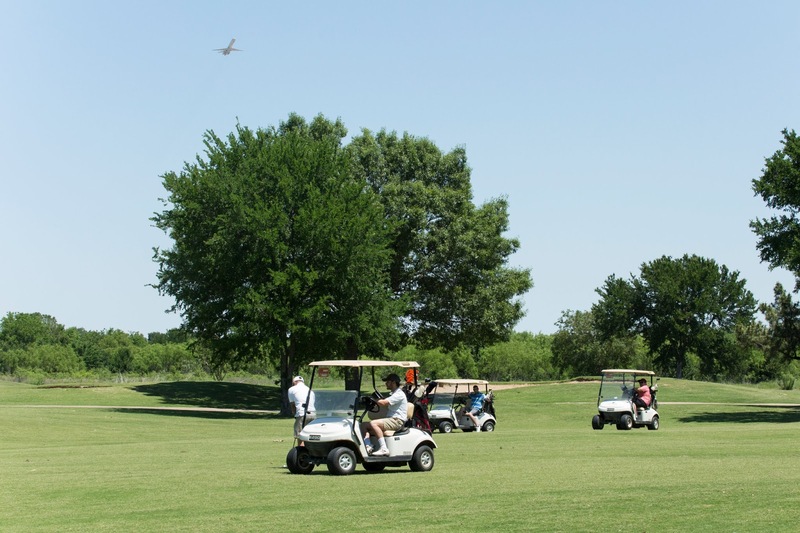 A short drive away are a couple of local places: a sports complex called Drive Nation and the Bear Creek Golf Club, a public complex with two championship golf courses. What distinguishes these businesses is that all pay rent to the nearby Dallas-Fort Worth International Airport, the nation’s fourth busiest, serving over 65 million passengers a year. Like Dallas-Fort Worth, airports all over the country are looking for new ways to cover their costs, as they seek more income for terminal and other improvements. That means the fees and rents paid by parking lots, rental car companies, taxis and the businesses under their roofs are also increasingly important as airports try to hold the line on, or even lower, the fees paid by airlines. Kim Houlne, chief executive of Working Solutions, an on-demand call center services company based in Dallas, said she flies more than two dozen times a year and liked having a golf course so close to the Dallas-Fort Worth airport. “There’s not a lot of public courses in the area,” she said. She also praised the idea of an emergency room, called Code 3 Emergency Room & Urgent Care, that is being built at Southgate Plaza, a complex on airport-owned land that will have offices, a hotel, restaurants and other amenities. The emergency room will be available to employees, passengers and residents of the surrounding communities. “There’s never a time I don’t go to the airport that I don’t see an ambulance in front of the terminal. Anything can happen and does,” Ms. Houlne said. “There’s been a paradigm shift. Airports are looking at vacant land as an asset,” said Peter J. Kirsch, a partner at the law firm Kaplan Kirsch & Rockwell who specializes in transportation. Dallas-Fort Worth airport, which has more than 17,000 acres of land, with some 4,000 to 5,000 acres available for development, may take a more expansive view than other airports in developing outside sources of income. “When entities approach us with a project that’s a little bit different or unique that drives value, we’re more than willing,” said Sean Donohue, chief executive of the airport. The Dallas-Fort Worth airport has one office building on its land and others are planned. Office space is also in the economic plans of Denver International Airport and Hartsfield-Jackson Atlanta International Airport. Energy production, which can potentially lower utility costs, also figures in some airport plans, although “some ventures are successful, others aren’t,” Mr. Kirsch said. In 2015, a National Academies Press study identified solar projects at 70 of the nation’s airports, including Denver and Newark Liberty International Airport and smaller fields like Teterboro Airport, also in New Jersey. Denver’s airport first installed solar power for sustainability reasons in 2008 and says it currently has five solar arrays totaling 11.6 megawatts of solar generating capacity. Most of the electricity is sold back to the grid. Some passengers consider that good for the environment. “I appreciate their efforts toward renewable energy on their property,” said Alex Boian, vice president for government affairs for the Outdoor Industry Association. The solar panels are visible from the air — as is another airport venture, farming. Tenant farmers pay the Denver airport $18 an acre, to plant wheat, corn, millet and sunflowers on 16,000 (of 34,000) acres of airport land. The airport also drills for oil and gas. There are 71 wells on the property, which produce 18,000 barrels of oil and 400,000 cubic feet of natural gas per year (or enough natural gas to serve 5,333 Colorado households for a year, according to the Natural Gas Supply Association). The city of Denver recently audited the wells and found nearly 30 percent are losing money. The airport agreed with the auditor’s findings and said it was considering changes. Dallas-Fort Worth airport has also experimented with drilling. The airport said it earned about $2.4 million in natural gas royalties last year. Active drilling for new wells at the airport stopped in 2009, when the price of natural gas dropped. Beginning in late October 2008, however, the United States Geological Survey recorded the first of more than 175 earthquakes in the area, the largest with a magnitude of 4. Previously no earthquakes had been recorded. They were traced to wastewater wells, used for the disposal of fluids associated with oil and gas operations. “It’s plausible the fluids migrated onto an old fault,” said Brian Stump, a professor of earth science at Southern Methodist University and co-author of a continuing seismicity study. The earthquakes are still occurring, although they are further apart and smaller in size, Mr. Stump said. 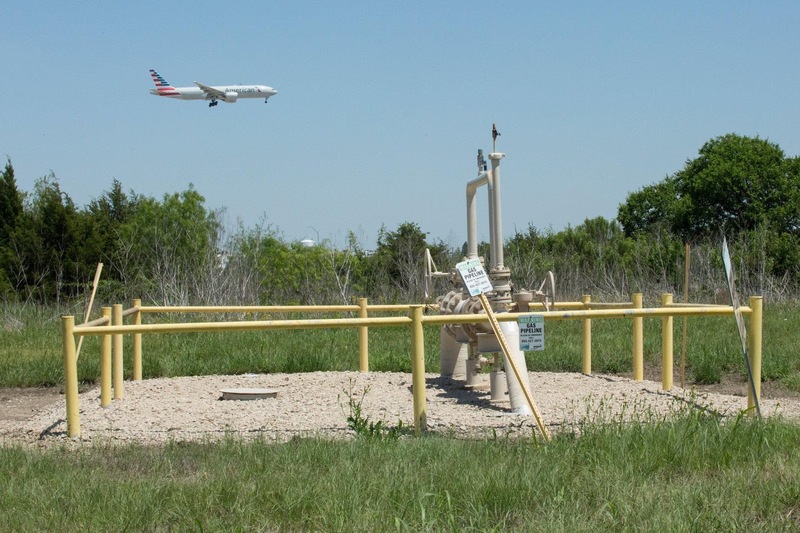 The experience in Dallas hasn’t deterred Pittsburgh International Airport from initiating hydraulic fracturing, better known as fracking. The airport lost passengers and revenue as US Airways began reducing its operations there in 2004. Now merged with American Airlines, it stopped flying there in 2015. The airport began producing natural gas in 2016. Consol Energy, based in Canonsburg, Pa., 18 miles southwest of Pittsburgh, paid $46 million dollars before the first well was drilled. CNX Resources Corporation, which spun off Consol Energy last year and currently holds the airport development lease, estimates that the airport will receive about $450 million in royalties over the course of the project. CNX expects to invest $500 million over the 50-year life of the project. These new businesses come with an inherent risk. “As airport operators continue to get into nontraditional lines of business, oversight will be needed to make sure the tenants are doing what they are supposed to be doing,” Mr. Harteveldt said.